i collect weird stuff from second hand stores to make jewellery. 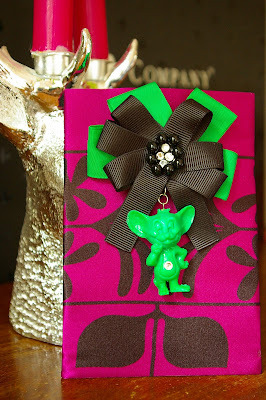 this lovely green mouse has now belly button made from swarowski crystal and has a new life as fancy brooch. pross ise läks PITSi (http://pits.baas.ee/) ja leidis seal uue omaniku.